A few days ago after completing the oil purge process, the propeller was pitched to 71.4 degrees and photos of the setup were posted on the DOG Aviation Blog and fortunately caught the eye of a fellow builder. 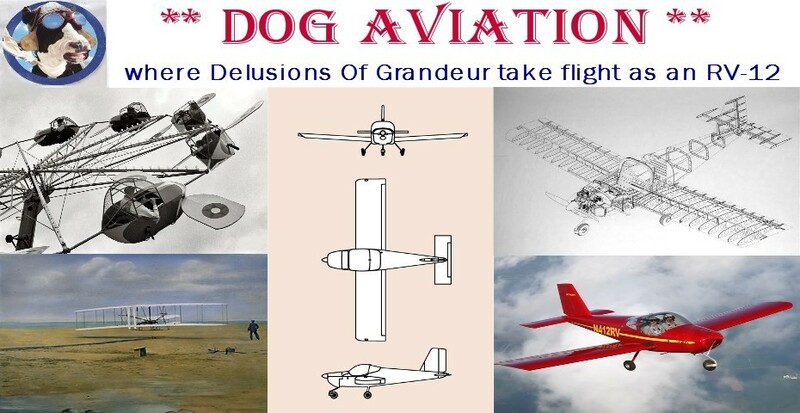 One of the perks of sharing the building process of the Van’s RV-12 via the DOG Aviation Blog is there are many eyes watching the build, producing feedback from around the world. After posting the photo covering the process of using a digital level to set the pitch of the propeller, I received an Email from Nick, a fellow RV-12 builder in Colorado, saying one of us pitched the propeller wrong and would be saying “crap” …. Well, that would be me …. Crap! Nick referenced a photo on a page 47-07 in the latest version of the plans, which is not in my plans. I had viewed the new page online and the use of the digital level seemed simple enough … but I managed to mess it up by rotating the prop blades the wrong way to obtain the required 71.4 degrees … DUH! The DOG Aviation RV-12 would have had the first RV-12 in the fleet that could back into a hangar under its own power. Many thanks Nick for the sharp eyes and taking the time to write and get me pointed “pitched” in the right direction so to speak. This photo is incorrect … the photo was posted a few days earlier on the Blog covering use of a digital level to set the initial pitch to 71.4 degrees. What Nick spotted as being incorrect is the level is leaning in the wrong direction … good eyes Nick! The level should be leaning to the left or aft and NOT forward as it is here. One unfortunate aspect of pitching the propeller blades the other way is the gap seals were shaped when the blades were in the opposite position, so it required many hours of filing with a jeweler’s files to get the shape acceptable. I did not want to remove the blades by myself or bother friends, yet again, for the same task. So with only a very tiny gap to work with, blue masking tape was placed on the prop for protection and the gap seals were slowly reshaped using lots of careful filing until there was approximately 1/16" gap between the gap seal and propeller when the blades were positioned correctly … an allowance was made in case the blades need to be pitched shallower because the 71.4 degrees is just a starting point. Builders will adjust the pitch to best fit their needs based on many factors such as field elevation, runway length and type of flying they mostly do. Carefully filing one of the gap seals using a jeweler’s file to obtain the necessary clearance between the gap seal and the prop blade when the propeller blade is positioned correctly. After filing both gap seals, the propeller blades were adjusted to 71.4 degrees (correctly this time) and the bolts were tightened one flat at a time and the angle rechecked and tweaked if necessary. After a couple of cycles of tightening the blades by one flat on the bolt, the blades were pretty much locked in position. At this point the propeller bolts were tightened in four stages of torqueing checking the blade angles after each stage ... 75 inch pounds, followed by 10 ft. lb., 14 ft. lb. and final torque of 19 foot pounds. The final blade angles ended up at 71.4 degrees and 71.35 degrees. Time to put the spinner back on and move on. This is the correct orientation of the digital level when using the TOOL-00002 pitch tool with a digital level to set the propeller blade pitch to 71.4 degrees. The level should be leaning aft as it is in this photo. The final result after torqueing the bolts to 19 foot pounds.